Guttorm Guttormsen: alto sax, flute; Andre Kassen: soprano, tenor sax; Jon Oystein Rosland: tenor sax; Line Bjorner Rosland: clarinet, bass clarinet; Finn Arne Dahl Hanssen: lead trumpet; Thomas Johnansson: trumpet; Magne Rutle: lead trombone; Benedkikte Folleg Hol: trombone; Asgeir Grong: bass trombone; Sopndre Storldane: guitar; Rune Klakegg: piano; Jan Olav Renvag: bass; Jan Olav Renvag: drums. Guests: Rob Waring: vibraphone; Nina Gromstad: vocals. For around 40 years, Klakegg has been a stalwart of the Norwegian jazz scene – editing a jazz magazine, leading small groups and piano trios, playing with major stars as they travel through Norway, and teaching. In around 2009, he co-founded the Scheen Jazzorkester which provides 13 of the players in this session. The tunes in this set all began life as piano pieces and Klakegg has recorded them previously in trio settings. For example, the opening track ‘Achille’ (named for the French impressionist composer Achille Claude Debussey) appeared in the 2012 piano trio recording ‘Romantic Notions’ and track 6 (‘Det er noe muffens her’) from 1992’s ‘Anaerobics’. 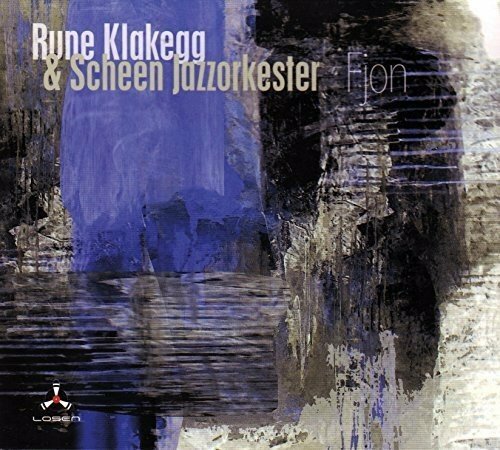 However, rather echoing the piano melodies, Klakegg’s reimagining of these tunes for large ensemble involve richly textured harmonic structures that call to mind some of the experiments in ‘Third Stream’ music of the 1960s as much as earlier mixing of jazz and classical idioms. The press release notes the influence of Gil Evans and Maria Schneider, although there is something more of the classical orchestra than the jazz orchestra here. The instruments tend to play individually scored parts rather than the broader sweep that one might expect in the Big Band (the idea of a ‘lead’ trumpet or trombone, distinct from soloists was something new for me), and the pieces themselves have little sense of swing and are more disjointed than one might expect in traditional jazz arrangements. Having said that, I was reminded of some of the more experimental arrangements of the Duke Ellington’s jazz symphonies in several places here. The set also includes a darkly brooding and sinister cover of the Mancini / Mercer classic ‘Moon River’. This pieces, played as track 5, provides the overall mood of the set, with sweeping melodies being played in off-kilter manner to unnerve and disorientate the listener, but to do so in an inspiring and uplifting manner. As a collection of jazz symphonic pieces, borrowing from impressionism and working the instrumentation of jazz ensembles to interesting and imaginative sonic directions, this set works really well and provides a mature and intelligent scoring of pieces whose melodies can belie a swirling complexity of compositional ideas.